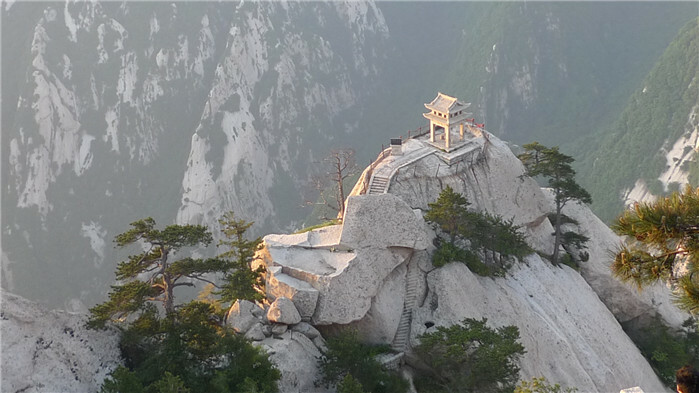 Pick-up from your hotel, and then drive 2.5 hours to the foot of the mountain, Huashan. 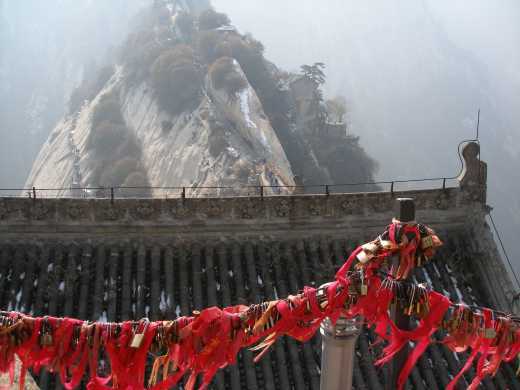 Huashan is famous for its precipice. 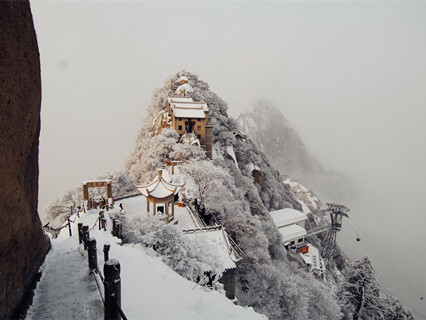 It is one of the noted Five Mountains in China, and once called the West Mountain in ancient times.Very steep there the narrow trail is, so you need to take care on your hike! North Peak(also called the Cloudy Terrace Peak), it has only one hill that leads to the south with three sides disconnected with anywhere and it is fairly steep. Lunch time and prepare to explore the mountain. Take mini bus to the cable car start point at north hill, then change to aim to west hill or middle hill or south hill. After that, we need to return to north hill and take the cable car to get down the hill. After the tour, transferred back to your hotels. Air-conditioned vehicle (car or van). Transportation fee at the mountain(40 RMB per person). Entrance tickets. Cable car fee(150 RMB per person). Enjoyed the Mt. 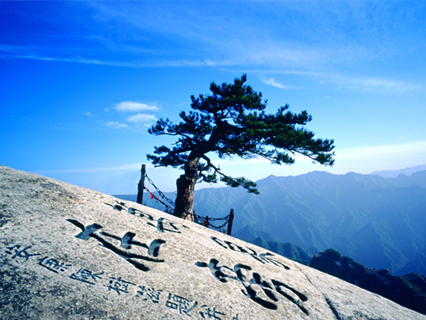 Hua Shan at a weekend in November with best weather. A marvelius mountain. Even for mountain hikers who have sse a lot, this is one of the worlds highlights. 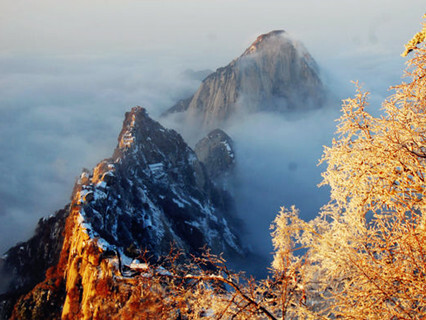 But you should spent at least 5 hours on the top, to reach the central and western peak. Steep slopes and lot of traffic is slowing ou d more..
Great tour. I traveled with this company twice whilst staying in China. I highly recommend them. Don't book an overcrowded bus tour when you can book your own private tour with these folks!!!! more.. Reply : Thanks so much for your tour inquiry with us, sorry, we cannot confirm you as it's too urgent. wish you have a nice trip today! Enquiry : We want to get picked up from our hotel but then dropped off at the airport is this possible? As we fly out at 10:30 pm,Also to bring costs down is it possible to try make it semi private? Reply : It's ok to get picked up from our hotel but then dropped off at the airport. 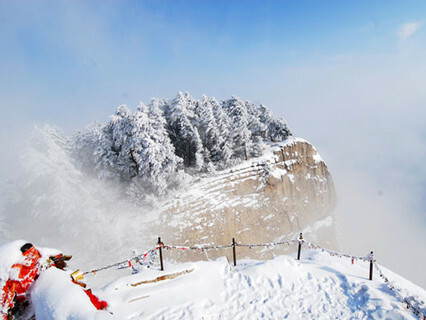 however, the Huashan Mountian may not available on Jan as it is too cold to climb. semi private is not available.